How-to guide on building and publishing your Custom Branded Event App on your App Dashboard. Getting started select the Custom Branded One Event App package. You'll have your own Custom Branded App in the Apple and Google Play Stores. *Please note you or your company must have an Apple Developer Account of your own for this package. 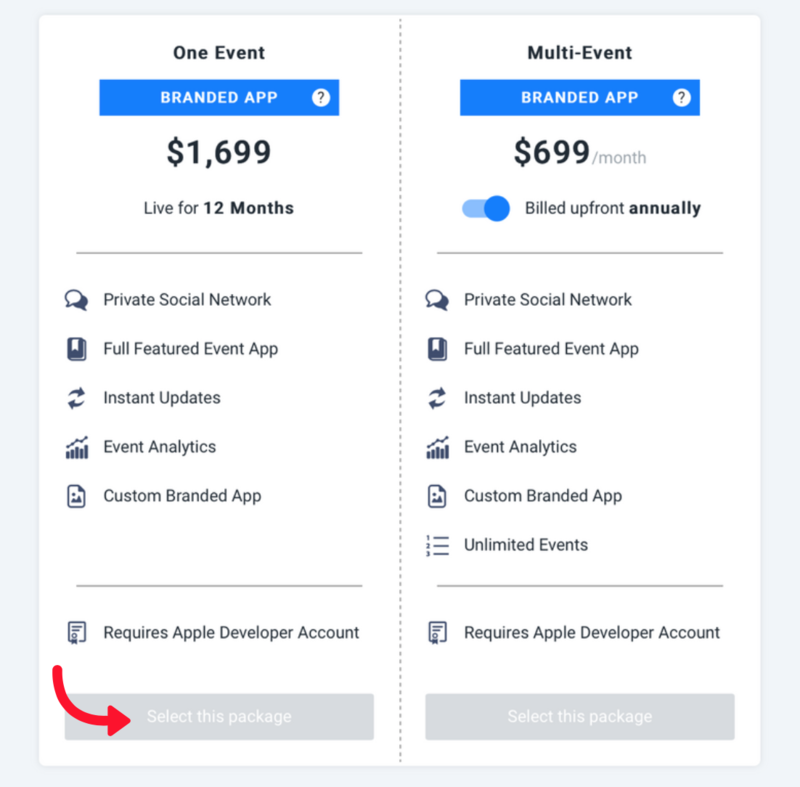 The Event App will still be created and managed through the HelloCrowd App Dashboard and our support team will handle the submitting of your Custom Event App under your or your company Apple Developer account. 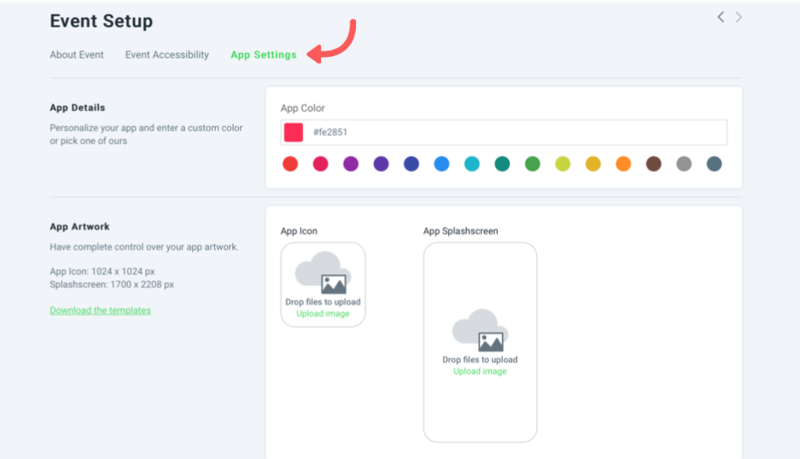 App Color: Personalize your App by adding your custom App color or pick one of ours. App Artwork: You are required to upload an App Icon and Splash Screen. This allows you to brand your App and give it a unique look. Delegates will see the custom icon when they’re searching for your App in the App Stores. The App Icon needs to be exactly 1024px wide and 1024px high and the App Splash Screen needs to be exactly 1700px wide and 2208px. We have to cater for Tablets and Smartphones, therefore we have text safe area that needs to be adhered to. The template available on your App Dashboard. Complete your Event details as you would like them to appear for your delegates. Event Title: The Event title is the name of your app and will appear in the Apple and Google Play Store. Only 60 characters allowed for the event name. Event Date and Time: This field is automatically generated from your event agenda once it has been added to your Event Menu. Event Home Page: The options for your Event home page is the Event Social Feed or About Page. The Event Social Feed allows you to display attendees social content in real time at your event, it is like a Facebook feed but completely private to your event. Your attendees can share updates, post photo’s and comment on updates they like. Should the you choose not to include the Event Social Feed, the home page will be an About page of the event - this will include event description with text, images and/or video. Visibility: Choose how your event is accessed from inside the HelloCrowd app. Security: If you enable the event security your event is accessible to only those in your attendee list. Alternatively, if you have not preloaded your attendees your event will only be accessible to those attendees who have your event password. 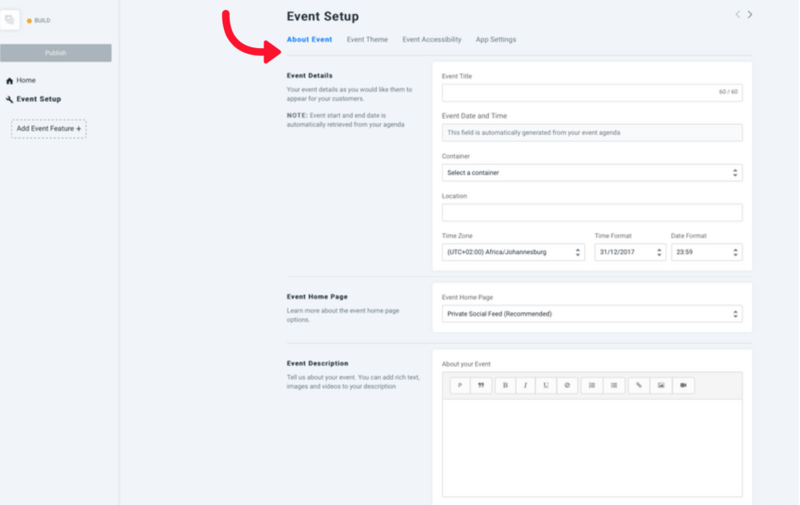 Drag and drop the Event Features to the Menu based on your specific event requirements. Upload your content using our templates or add items manually. You'll be able to edit and modify your content even if your Event is already live, the App will update instantly when you make any changes. All information to create Apple Developer Account and grant access to HelloCrowd is available here. Select "Publish" once you're ready to publish your App and Event. Fill out your billing information and proceed with publishing your App.